The Elaine was meant for easy living. 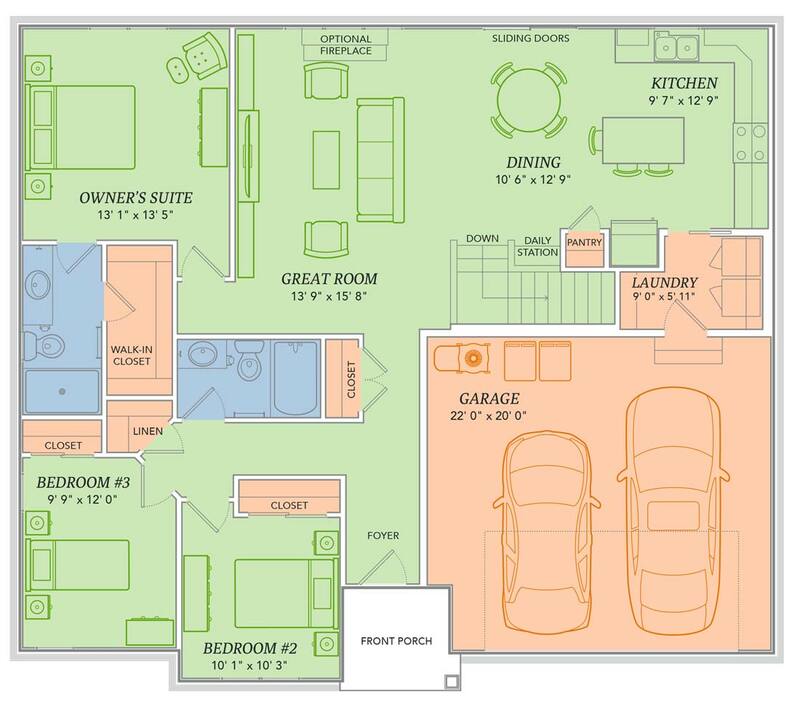 Why wouldn’t you have all of your desired amenities on a single floor, if you could do so? As you wake up from your owner’s suite and enter the main living space, flip on the television in the great room, start a pot of coffee in the kitchen and then check on your laundry, all in one quick pass. Take pleasure in the carefree lifestyle offered by the smartly designed Elaine.